This fast-paced intensive provides an introduction to understanding and laying out classical architecture through a study of the Doric Order. 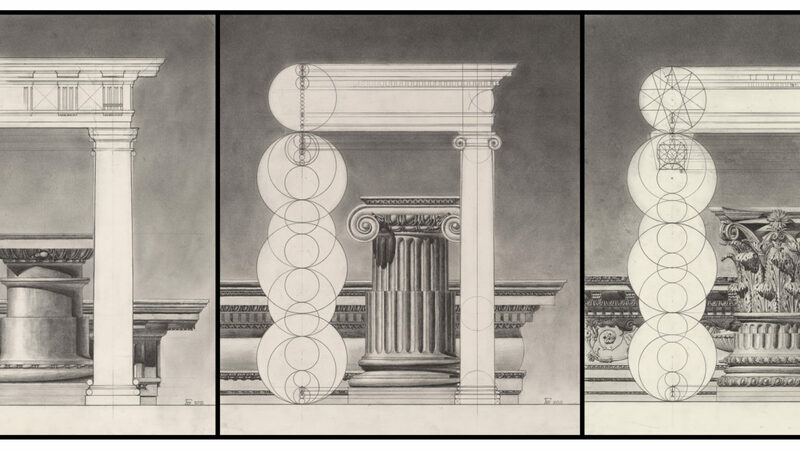 Students of all abilities will learn the proportions, details and essential parts of classical architecture by laying out a column, entablature, and pediment (don’t worry, you’ll know those terms before the course is done). The intensive will end with a sketch problem combining these elements to create a classical door aedicula and a typical façade. Most importantly, you will learn why the study of the classical orders is an essential foundation in the study and practice of architecture whether traditional or contemporary.